Holland & Hart LLP welcomed partner Laura Granier and associate Erica Nannini to its Reno office on August 17, expanding the firm’s nationally-recognized Environment, Energy & Natural Resources practice, one of the largest in the country. Granier’s extensive experience working with mining industry clients will enhance the regional strength of the firm’s robust mining team. “Nevada is one of the world’s leading gold producers, and we are building a robust team that can navigate the complex, evolving public lands issues,” said Jim Newman, Administrative Partner of the Reno office. “Laura brings expertise and experience in environmental and mining law that will greatly benefit this community and state,” said Newman. Granier has skillfully handled several environmental regulatory issues, including land and water use, title, and mining in Nevada. Recently, she represented nine Nevada counties and four private entities in a successful challenge of the Bureau of Land Management’s Greater Sage Grouse Land Use Plan Amendment. Granier is also involved in the representation of one of the nation’s most promising projects poised to become a producing gold mine against a proposal to withdraw 2.8 million acres of land from mineral exploration. “While we have a lot of mining in Nevada, we don’t have a lot of mining lawyers,” said Granier. "Given the strong group of natural resource lawyers across Holland & Hart, I am honored to help expand the practice and continue helping industry stakeholders fight for the continued responsible multiple use of public lands." Nannini, an associate with experience in mining, natural resources, and public lands, will assist with research, drafting and preparation of legal documents. She earned her law degree from the William S. Boyd School of Law, University of Nevada, Las Vegas. Granier was appointed by the State Bar of Nevada to serve as its representative on the Rocky Mountain Mineral Law Foundation Trustees Council. She also serves on the board of directors of United Way of Northern Nevada and the Sierra. Granier graduated with a Bachelor of Arts in Biology from the University of Nevada, Reno and received her Juris Doctor from the University of California Davis School of Law. 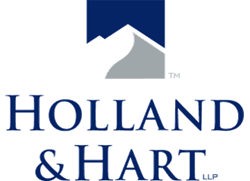 Celebrating the 70th anniversary of its founding in 1947, Holland & Hart is a full-service law firm that today has approximately 500 lawyers across eight states and in Washington, D.C. delivering integrated legal solutions to regional, national, and international clients of all sizes. We serve clients in a diverse range of industries, including energy and resources, food and beverage, and technology, communications and media. For more information, visit http://www.hollandhart.com or on Twitter: @HollandHart.